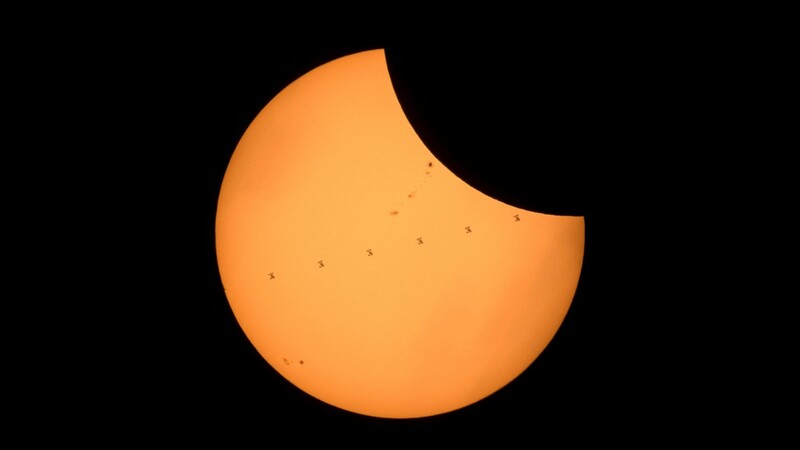 In this NASA handout, acomposite image, made from seven frames, shows the International Space Station as it transits the Sun at roughly five miles per second during a partial solar eclipse, Monday, Aug. 21, 2017 near Banner, Wyoming. Solar eclipse reaches totality as seen from Silverton, Oregon on Aug. 21, 2017. 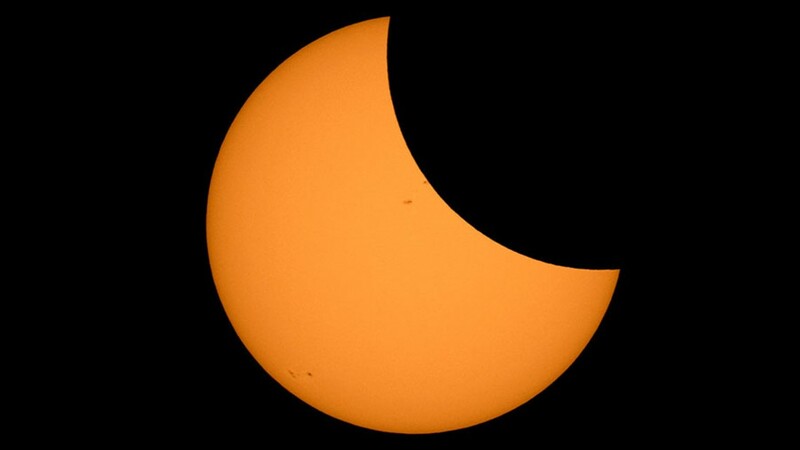 The solar eclipse nears totality around 1:15 p.m. Eastern time in Silverton, Oregon. A partial eclipse begins in Silverton, Oregon on Aug. 21, 2017. 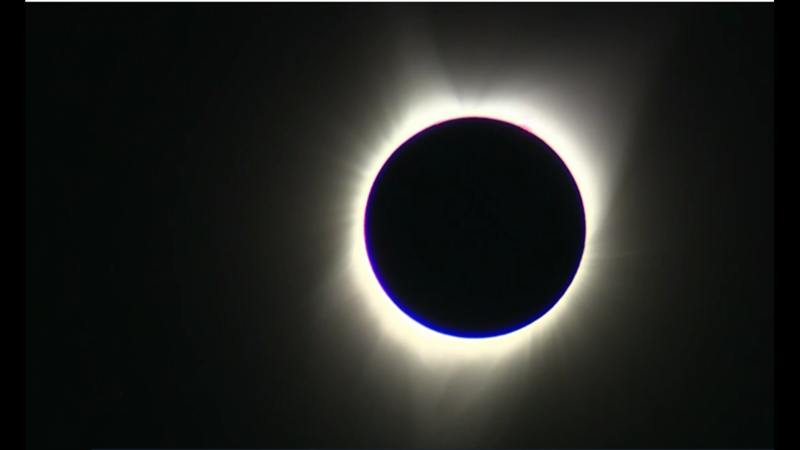 The solar eclipse begins in Silverton, Oregon around 1 p.m. Eastern on Aug. 21, 2017.